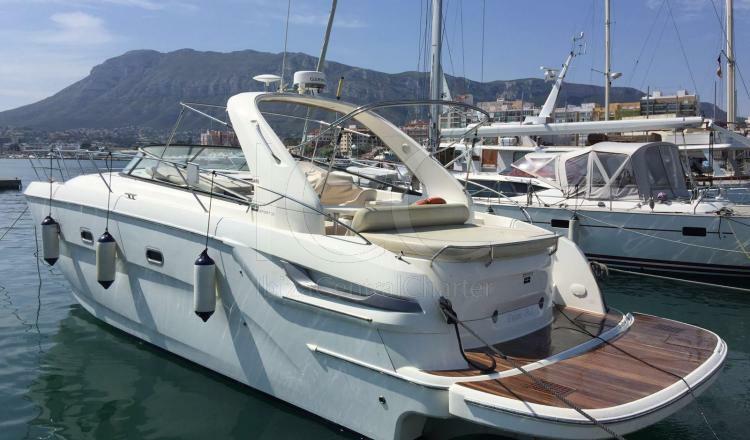 The Bavaria 38 Sport has a length of 12 meters that allows a capacity of up to 11 people plus the skipper, making it the perfect boat to enjoy unforgettable days with family or friends. 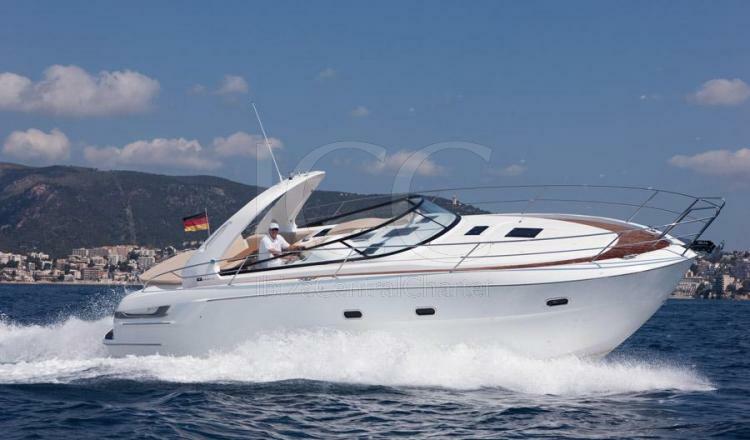 The motorboat Bavaria 38 Sport has a capacity of up to 11 people plus the skipper for a day of charter. Moored in the port of Formentera is the ideal boat to discover the spectacular and magical corners of the islands of Ibiza and Formentera from another perspective. Inside it is equipped with two double cabins and a bathroom. A fully equipped kitchen where the fridge, a kitchen with ceramic hob, kitchenware and a coffee machine are some of the comforts that contribute and that will make you feel at home. Outside there is a large area for sunbathing in the bow and a lounge with mats to rest and regain strength in our charter day aft. In addition, it has a hydraulic platform with teak floor that will facilitate access to give us a dip in the turquoise waters of the islands.